A terrific launch last night of The Spirit of the Bathtub with Grzegorz Wroblewski reading from his latest work (in English) Zero Visibility (translated by Piotr Gwiazda). Super nice folks in the audience. 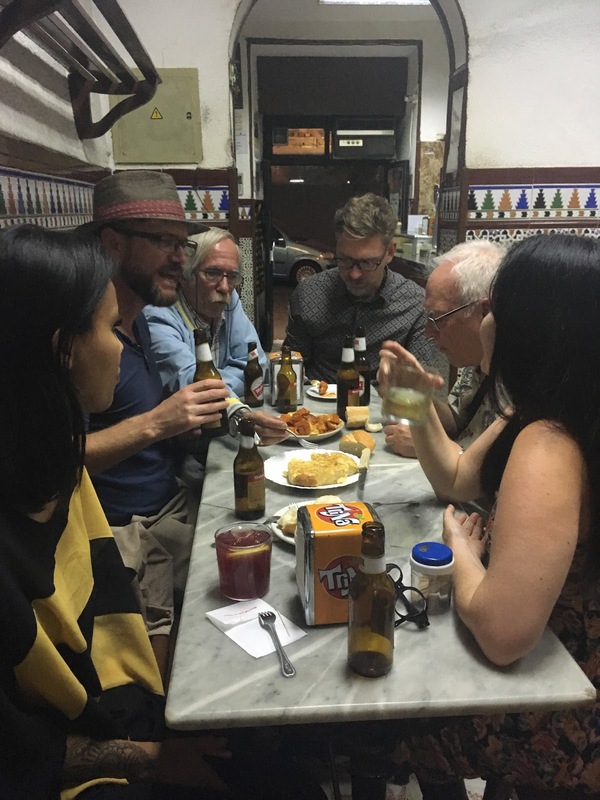 Nice chats during and afterwards. We are not alone folks! Tomorrow in Madrid, 11th May 2018, at Desperate Literature Bookshop, I am launching my new book The Spirit of the Bathtub, along with visiting poet Grzegorz Wroblewski, also reading from his newest work, Zero Visibility (translated by Piotr Gwiazda). The fun starts at 8PM. Entry 3 euro. You get a glass of wine (or beer) and support the bookshop. The only one of its kind (except maybe Shakespeare and Company in Paris). A wee performance at Desperate Literature Bookshop. Madrid. 14th April 2017. 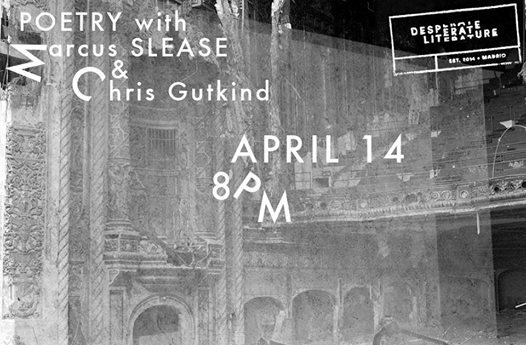 I am performing with London based poet Chris Gutkind at Desperate Literature bookshop in Madrid. April 14th. Tonight two poets (one local, one not) in a wham bam double thankya mam. Chris Gutkind mostly started out in Montreal and has lived in London for many years. He worked as a librarian in universities during most of his time there. In 2006 Inside to Outside was published by Shearsman and in 2010, with artist Trevor Simmons, Knives Forks Spoons published Options. A new collection has been finished and hopefully it will be out in the next year or so. He also writes tales. Marcus Slease is a nomadic surrealist writer and performer from Portadown, N. Ireland and Utah. He is the author of eight books from micro presses. His writing has been nominated for a Pushcart Prize, featured in the ​Best British Poetry series, translated into Polish and Danish, and has appeared, or is ​ forthcoming, in many literary journals and anthologies including: ​ ​Tin House, ​Poetry, ​ and ​Fence. His latest book, Play Yr Kardz Right, is forthcoming in August 2017 from Dostoyevsky Wannabe. He lives in Madrid, Spain and teaches English at CIS Endicott International.